Special low prices! 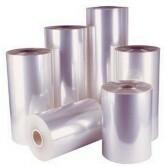 Our PVC shrink wrap films are high quality and easy to work with. The low temperature shrink film shrinks faster and farther than competitive PVC shrink film. It shrinks 45-50% in both directions and will become amazingly tight, clear, and strong after shrinking. After being handled, the packaging will not become sloppy because the heat shrink plastic has excellent "memory" and won't relax on the package. 75 gauge shrink film rolls are 2,000' long. 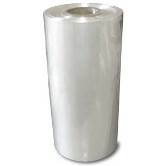 100 gauge shrink film rolls are 1,500' long. 75ga / 2000 ft.100ga / 1500 ft.